London Heathrow is celebrating its 70­ years anniversary this year and the airport has now made also exciting stories about the terminals and gates. Did you know that the Queen´s terminal, terminal 2, opened 4th June in 2014 and it is sustainably heated by about 20.000 tonnes of local wood chips? 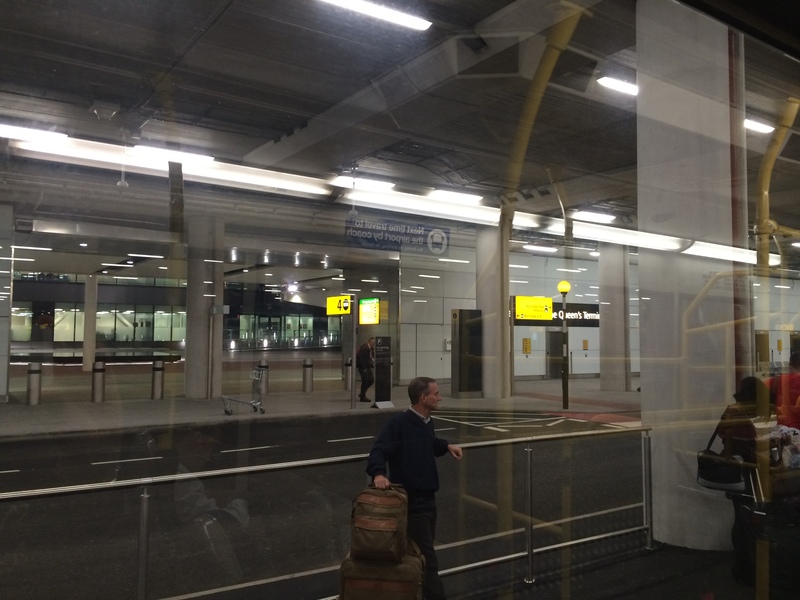 Or that the terminal 5 was the place where Daniel Craig flew to film for “Spectre” in 2011. James Bond has record of 146 destinations in 49 countries. Davos, is the world capital for one week in February, when the World Economic Forum gathers in the Swiss Alpine Mountains with leaders all over the world. The preparations for the next year meetings are also going on in June, when I visited this lovely Alpine village. – You know, when the leaders come to Davos, they have very tight schedules. They want to meet everybody, while their all collaques are also here. One way to see it, one could say that this is also sustainable. For one week, you do not have to travel anywhere, just stay in Davos to meet everybody, says the top quality-hotel director Silvana Schlösser from Ameron Swiss Mountain Hotel. And yes, she is right. 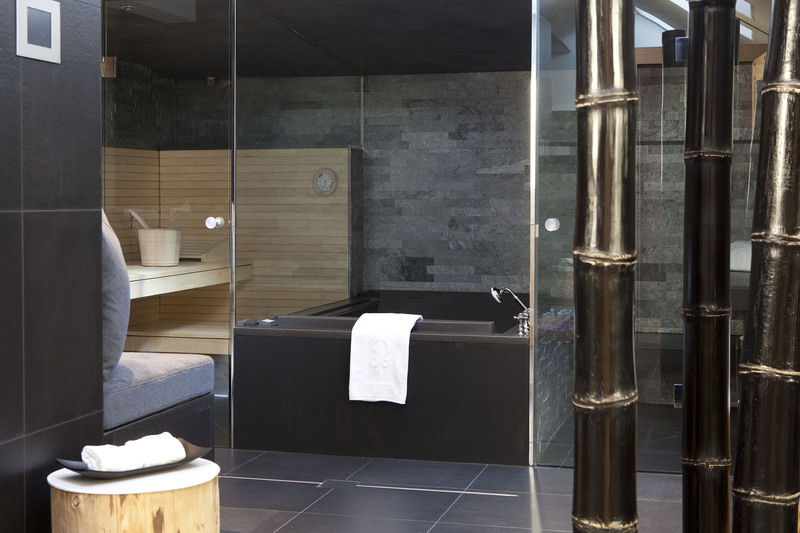 Why not stay for longer on this just-opened, brand new four-star plus quality spa hotel in Davos. The hotel, 1560 meters above the sea level, is a culinary and well-being heaven. One can feel the slow-down and nature while the mountains and all sports facilities are near. This Davos based Ameron hotel is the first Ameron Resort, a place for relaxation and smart business. It has 148 rooms with modern Alpine design and led-lightnings, 6 meetings and event rooms and vitality spa with over 850 m2 different saunas and silence room. This hotel has also a Finnish sauna for its quests. The Kids Club is also a very popular in the hotel. Kids have their own events and activities during the stay. What would you say about a trip to the local farm or a play in the snow? One design element in the hotel is art. One can see that the art collection reflects the local surroundings. According to Mrs Schlösser this art concept is famous in all the Amaron destinations in Europe. This hotel group has several destinations in Germany for example in Berlin, Cologne, Bonn, Hamburg and next year also in Munich. Group´s five-stars hotels are called Atlhoff-hotels and they have over 10 Michelin restaurant stars according to Mrs Sclösser. It goes without saying that the hotel-owner, German Thomas Althoff, is a star-collector, as the German newspaper Die Welt, has also named his business. These five-stars hotels are located in Germany, London and Saint-Tropez. This Alpine village is located about two hours ride from Zurich main railway station. It offers a wide range of different sports possibilities: for example 700 km marked hiking and panorama roads, biking, horse riding and golf. And even theme trails:this time cultural-historic trail or Alpine Botanical Trail would be perfect. During winter time Davos has over 320 km ski slopes, Nordic skiing, Alpine Skiing, skating and winter hiking trails. And if you can not decide, the tourist office has made a day plan for different kind of events and activities to participate. Now it is up to you: discover and enjoy Davos! The winter season starts in the late November. It was a good decision when I decided to visit Le Mirador Kempinski Hotel in the lake Geneva area. I must say that the feeling of the hotel and the services were above all. First, the cardrive up to the mountains was a pure delight with all the Swiss Riviera atmosphere. Secondly the hotel welcoming services and the view in the reception made you take a breath again. One can seek for a better panorama view with mountains and lake. Le Mirador Kempinski is well situated, only 50 minutes drive from the Geneva Airport. On the other hand, it has its own privacy and security, so it is relaxing sometimes to get out of the city just to have a break. And one can feel that the personnel also respect that feeling. Hotel Mirador Kempinski is an interesting combination of luxury hotel with health and beauty. The hotel offers not only a large spa area with saunas, swimming pools, massages and fitness, but also very delicate Givenchy Spa treatments, the only Givenchy Spa in Europe and Mirador Medical center. The Givenchy Spa gives you wellness above the clouds and it is possible to get various Givenchy treatments. The Mirador Medical center gives you a professional care for example for different kind of skin types, hydrotherapy and light therapy. Services include also dental services. This Mirador service package is really something unique for business people. Now one can optimize all the needs with a short visit up to the mountains. Kempinski is also investing in healthy nourisment and it is no wonder that the restaurant in the hotel has got a Michelin star for its gourment. For example the light evening antipasti with fresh salad was really for me when I arrived in the hotel. And according to the hotel Kempinski the targets are even higher. In the future they are targeting to get three stars for their restaurant. Hotel Mirador Kempinski is a place where you can have everything. From a private dinner to stakeholder meeting, or enjoying the lake view in your own terrace. 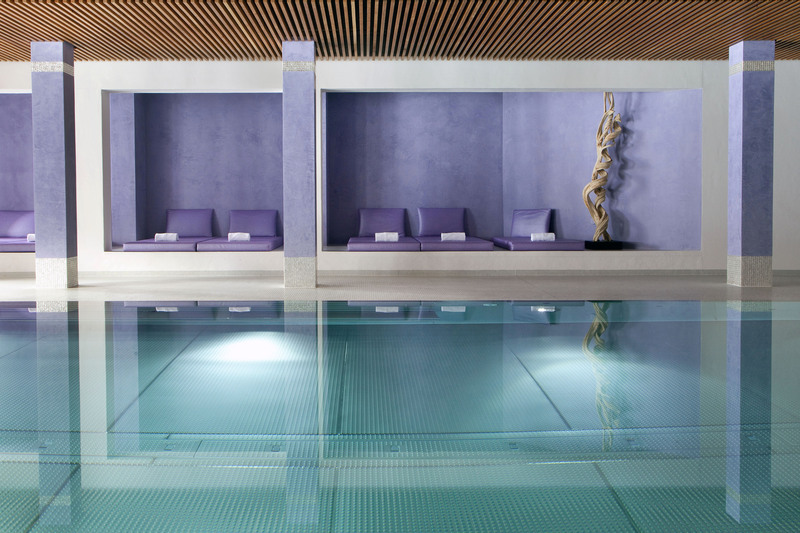 This magnificient hotel cares for your wellbeing and beauty. 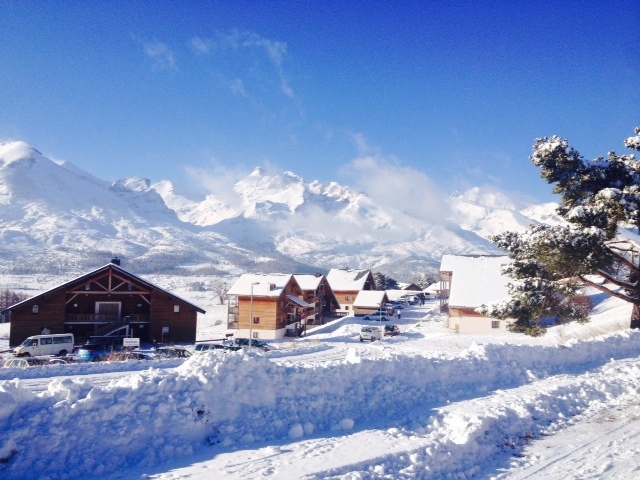 This little village Le Joue du Loup in the French Alps offers Ski holidays with nice and quiet surroundings. The village is part of the Devoloy Ski area. You can feel the cozy and warm fireplace in the entrance: lovely modern and still very traditional and familiar style. Like at home. The Grand Hotel Park is one of the leading European and Swiss deluxe-hotels with 5 stars in the middle of quiet Alpine village in Gstaad. The hotel was established one hundred and three years ago and it was the first of its kind in the village. During the years the hotel has been going on with the same traditions and with the same families. Families get back year after year with their new generations. – We are a very traditional five deluxe star hotel. Our service is very discrete, stylish and innovative. We have not been sleeping like a Beauty, but we have developed new ways to anticipate the full satisfaction of our guests. Every day we think how to be more innovative, says Mr. Jean-Yves Blatt. He has been the general manager of this establishment since 2008. One example of the innovative ways of serving customers was the full renovation of the hotel in 2010 during their centenary celebrations. During the renovation of nine months, the management was having a tour in all major European, US and Russian cities where their regular guests come from. They wanted personally present the renovation project and inform the guests that they wouldn’t be able to visit The Grand Hotel Park during the summer season and couldn’t wait to see them until the following winter season. So it is no wonder, what is the difference between Grand Hotel Park and other five stars hotels. According to Mr. Blatt it is about the feeling that customers want a discrete service, a certain authenticity and coziness in a contemporary environment during their vacation. It is like being at home. When you get familiar with the hotel, one can be amazed how good the renovation has been done. To integrate contemporary style into an old building needs expertise and professionalism. One of the key elements in the decoration is the wooden floors and ceilings which bring the mountain feeling and coziness. Combines with black granite and dark brown with different kind of leather one can feel how excited and elegant the atmosphere is. One can feel all the senses and be relaxed. The hotel spa area with its salt water indoor pool 32°C, different saunas and aroma therapies are marvelous, especially after a day on the skis. 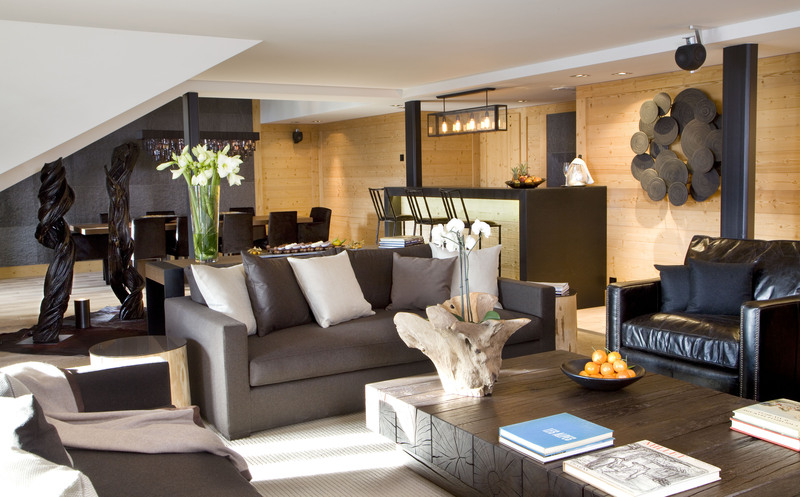 All Penthouse Suites and Deluxe Rooms are equipped with the latest technology from Bang & Olufsen and the largest suite “My Gstaad Chalet” (400sqm) includes four bedrooms, kitchenette and its own private spa area.And not to forget a Butler service on 24 hours basis. According to Mr. Jean-Yves Blatt, the suite “My Gstaad Chalet” and all other Penthouse Suites are very well booked during the forthcoming winter season. The hotel has four restaurants as well as a marvelous wine cellar and the menu varies from Mediterranean to Asian cuisine including the well known Sushi Bar. Sushi has got very good feedback especially after the spa treatments. The hotel likes to give new events for the guests as well. For example in 2010, Topshow Saanenland was arranged in the garden, during the renovation of the hotel and centenary celebrations. It is a cow show with the local farming co-operatives in which the nicest cow of the region is reveled. And this time the event was created in the garden of the property, followed with lunch and dinner, under a tent on the hotel´s tennis court. 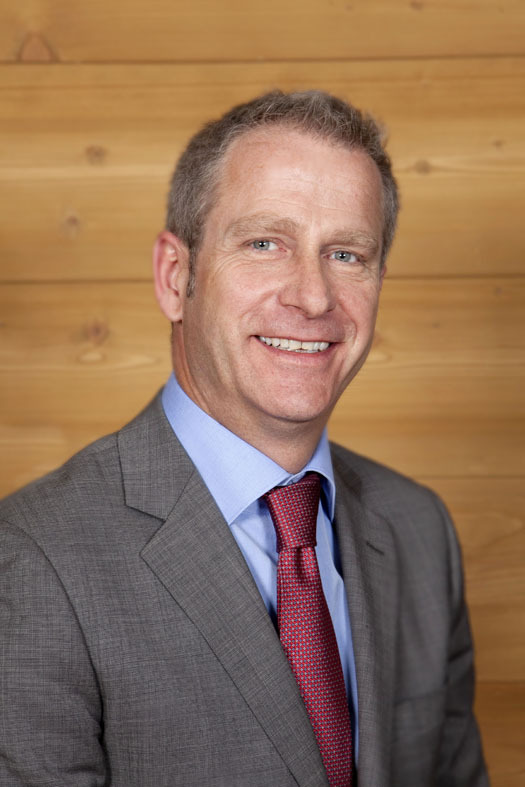 -Agriculture and luxury belong to and are an integral part of Gstaad, we wish to prove that both could be beautifully combined, says Jean-Yves. -We are very pleased while we have got very good feedback from our customers. We want to exceed ourselves with our loyal customers every day and achieve new things together. We also want to continue our valuable tradition and values but with innovative twist, he says. One can believe that this familiar but elegant way of serving customers is the key of success, for the next hundred years. The Grand Hotel Park spa area has different saunas and pools. The decoration in this chalet-hotel is very stylish and elegant. The sauna area in the chalet-appartment. How ice hockey turned into tourism in Engelberg? All began with ice hockey and Canada, when young Jean fell in love with Alpine skiing. He was travelling along the Canadian Alpine team for years and got to know all the Alpine places in Europe and the US. This gave him a lifelong spirit to the Alps and this turned also to a family story. He found his wife, a local ski teacher, from the mountains. And the mountains became their business. Before we go so far Jean worked in INTERSPORT Switzerland and International, ski boots company Raichle and McDonalds and was responsible of the marketing operations in Europe together for 20 years. After those years he was offered a hotel to run. The beginning of the entrepreunial carrier was not easy with financing and with renovation. Now after three years, Jean is happy. The company is on track and the customers are coming back year after year. Engelberg, which is one of the top ski resorts in Switzerland, offers ski riding above 3000 meters sea level in every weather. The place is a paradise for skiers and especially for free riders to whom Engelberg offers many beautiful places. It is also a place where skilled skiers can exercise their skiing over and over again. It goes without saying that Engelberg is one of the stuffiest places in the Swiss Alps. The famous Mount Titlis has different kind of events during the year, in summer and during the winter season. In summer time the easiest hiking could be the Flower Trail, near Trübsee with the variety of Alpine flowers species. According to Jean, new kind of service mentality and packages are needed, while tourism is changing. The average time spent on holidays is now 2,1 days, he says. Not for a week as it used to be before. And Engelberg has done its best. One can choose from snow sports, sledding, cross-country to igglo building. Jean is worried about the situation that the growth of tourism has not always been sustainable. – The tourism has grown but how to make the changes in a sustainable way? He said he would like to see more about the service integration and sustainable design in the city area like in many places in the US ski areas. He reminds that we have not seen the direct implications of climate change. Although there will be no effect in the near or long term into tourism, there will be big changes in the longer run. The smelting of the glaciers is a real problem for the business. And this is an international nature concern. Also the competitive position will be changing over the years. The biggest risk for Alpine tourism is the cheap beach holidays to the new growth countries like Marocco. The Alpine skiing will compete with the time spent on games, city tourism and home decoration. So the life as a tourism entrepreneur is changing. According to Jean the only thing which can make difference is the good co-operation and networking. – We can always improve our operations, he says. Engelberg is a perfect ski resort for business people with good logistic, services and experiences. It is also one of the favorite destinations and its offering includes arts, music and sports in every season. Special thanks also to the perfect breakfast buffet. It is no wonder why Alpine skiing exceeds ice hockey..at least in some occasions. It is a modern Alpine hotel with central location in Engelberg: only 500 meters to the lift or 5 minute walk or with free bus transportation. The hotel has more than 5000 visitors annually and one of the specialties the hotel has is a wellness terrace with a full massage program (sauna, whirlpool and different kind of massages). The hotel is ideal for small groups with private spirit and it offers very cozy, warm and comfortable staying for its quests.